As I have mentioned before, I can’t stand waste… and when one sock dies, it seems a shame to throw out its mate. What I do, is keep the good sock, match it with another individual one and then take the newly matched pair on one last holiday (because usually they are close to the end of their lives too). This newly matched pair came with me on holiday to the US this month. They enjoyed a nice long plane ride, a couple of swims in the bath (hand washing my laundry), some outings, then a final trip to the rubbish bin. RIP socks, you served me well. Love this attitude! Or should I say this attitude socks? 😉 Adore this “mismatch”, it even looks like a set! 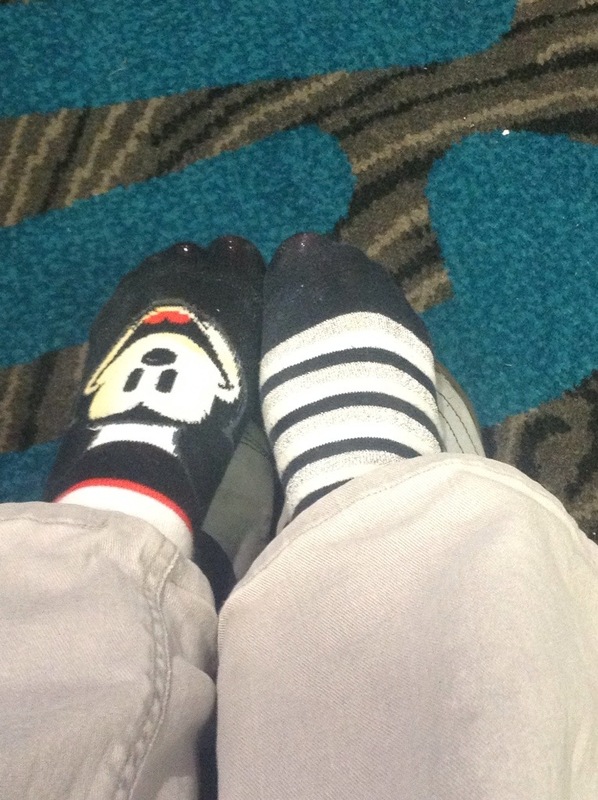 I’m usually too OCD to have mismatched socks but I make the occasional exception. Its a popular trend now but I still prefer my socks to match.